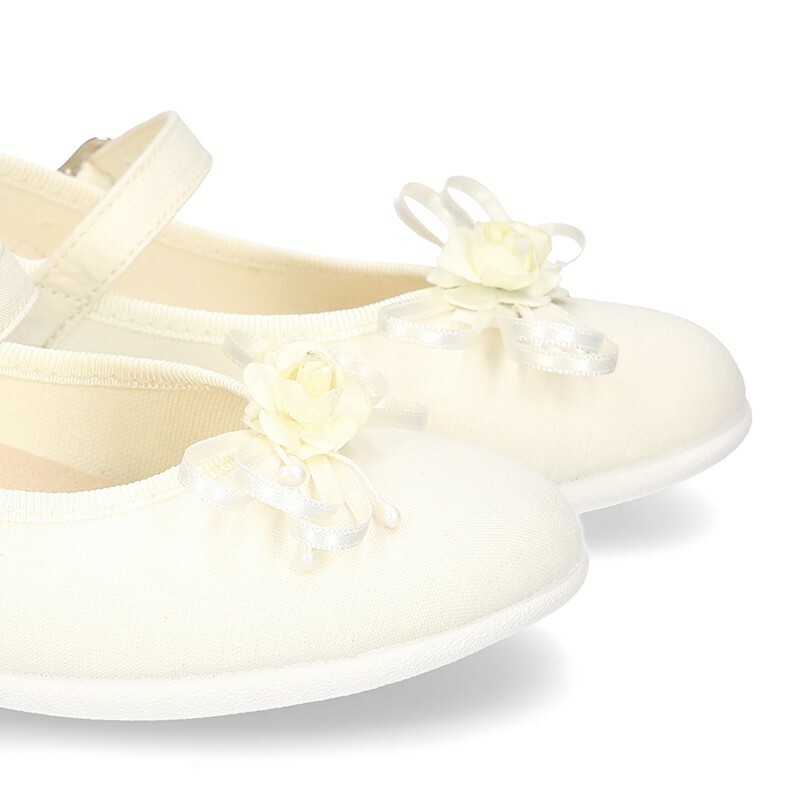 > First Steps>Mary Jane>Silk canvas CEREMONYLittle Mary Janes with flower design. 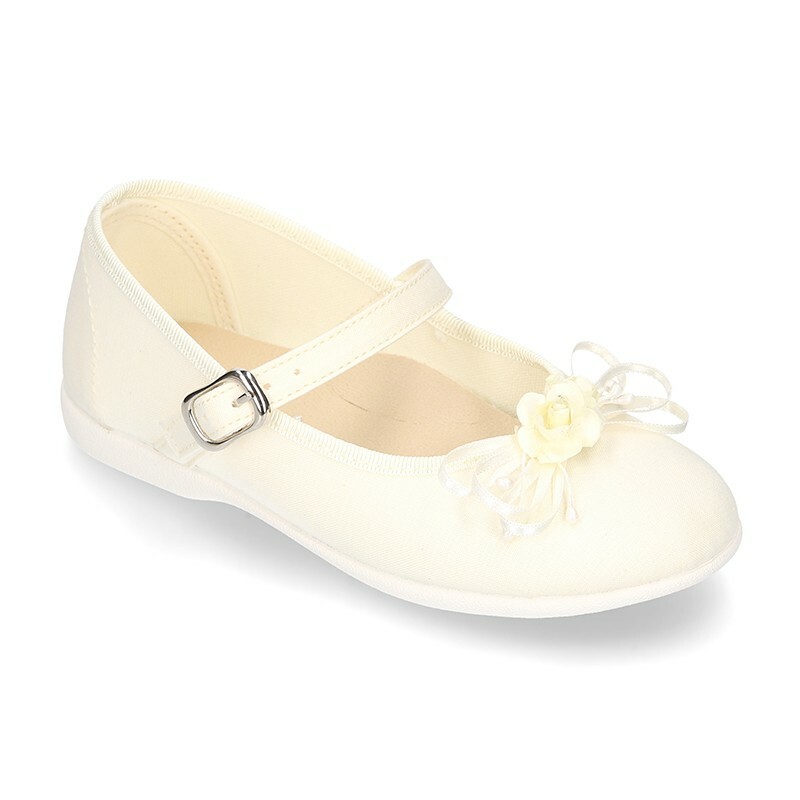 Silk canvas CEREMONYLittle Mary Janes with flower design. 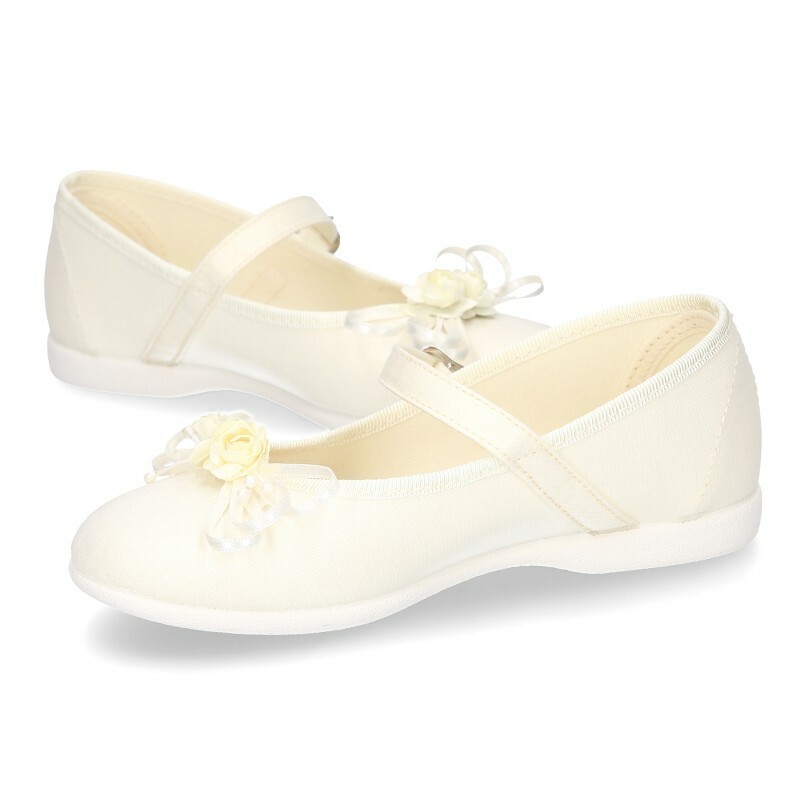 Silk canvas CEREMONY little Mary Jane shoes with flower design and buckle fastening. UP TO 38 EURO SIZE. More info about Silk canvas CEREMONYLittle Mary Janes with flower design. 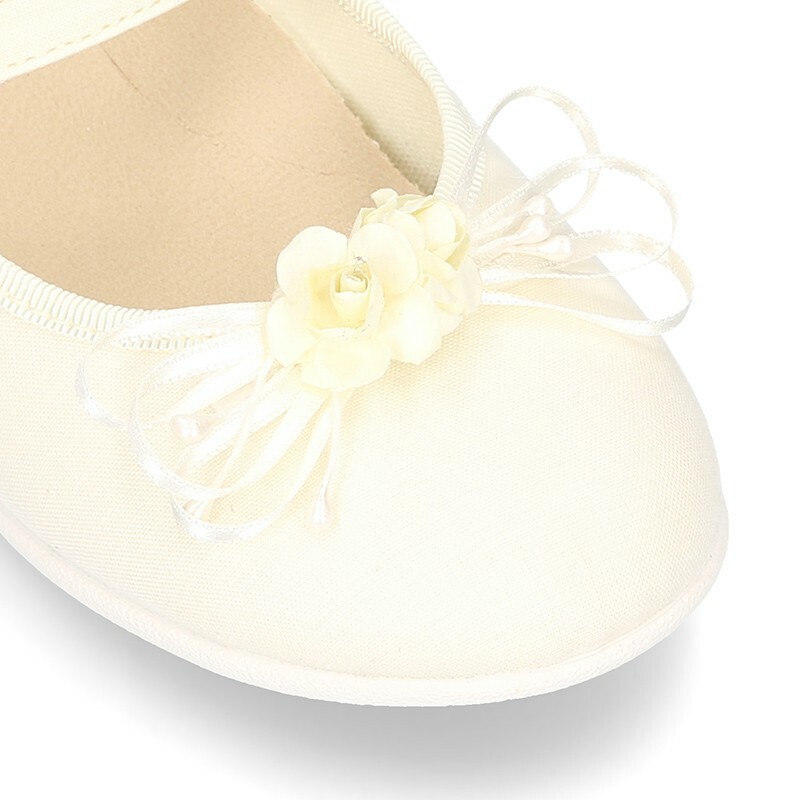 Silk Canvas CEREMONY little Mary Jane shoes with flower design and buckle fastening for girls. 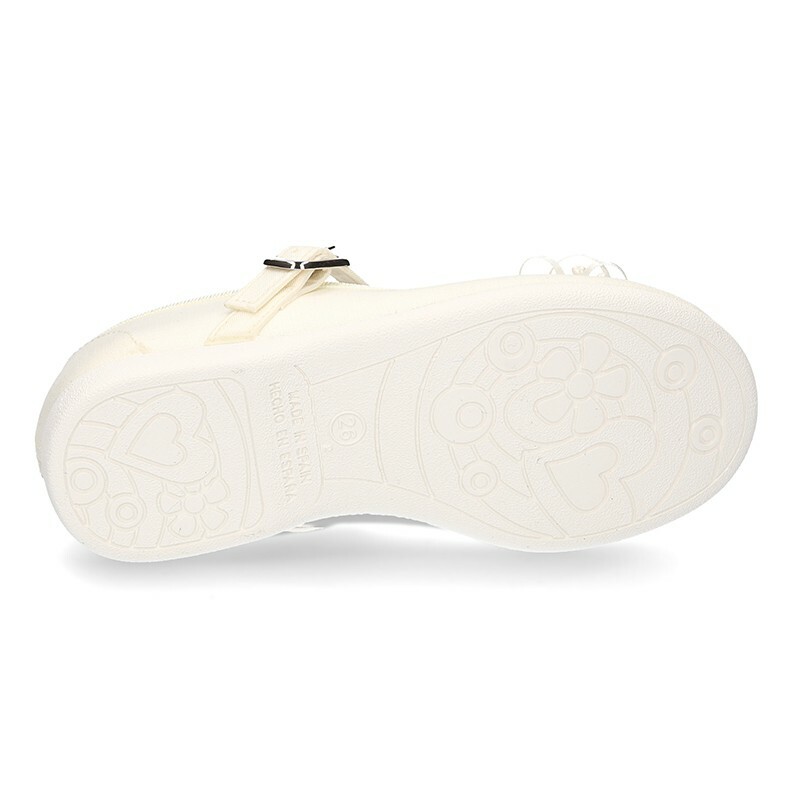 Fitted with buckle fastening for for greater comfort and adaptability to any contour feet. Made up of 100% high quality natural cotton canvas, with silk effect finish. It´s a model very elegant to dress in any special occasion or with every garment this spring summer. It´s a new and different model. With flower front design for a better elegant effect. Available in 1 color. Sizes range: from 21 Euro size up to 38 Euro size. SIZING REGULAR. Data sheet about Silk canvas CEREMONYLittle Mary Janes with flower design. Son muy cómodas y bonitas, pero las florecitas se caen enseguida, son de papel, o cuando lavas las zapatillas, cosa que pasa muy a menudo al ser de tela, se deshacen y se rompen. Yo las puede usar con las flores solo una vez, me sirvió porque las quería para un evento, y luego le tuve que quitar el detalle de las flores. A pesar de ello las zapatillas siguen siendo muy cómodas y lindas.